A few months back, I stumbled upon a blog entry written by James of Nomadic Notes. 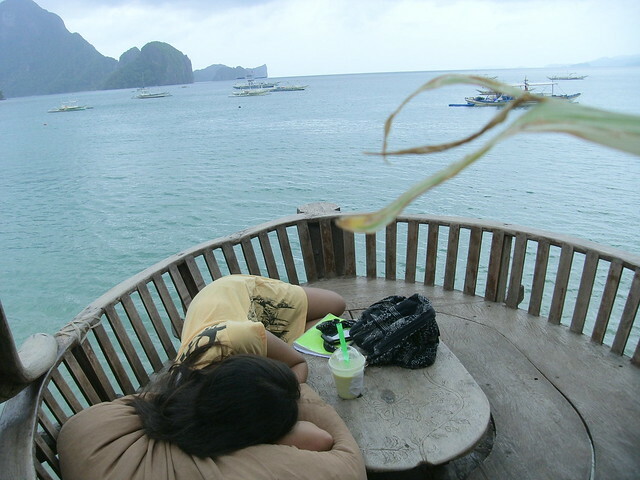 His photo while working and drinking coffee at one of the pods of The Alternative Inn made me want to book a trip to El Nido right away. I also saw a similar image from my friend Tiara’s blog. That’s it. I want to stay in The Alternative Inn! Luckily, The Alternative Inn is also working with Agoda. I prefer booking hotel accommodations through Agoda since I find payments through Paypal more convenient (and less heartbreaking financially LOL). I read some reviews. It mentioned that aside from the majestic view, what they truly love is the staff of this hotel. The cheapest fan room is Php600 and the most expensive is Php1,200 with breakfast. 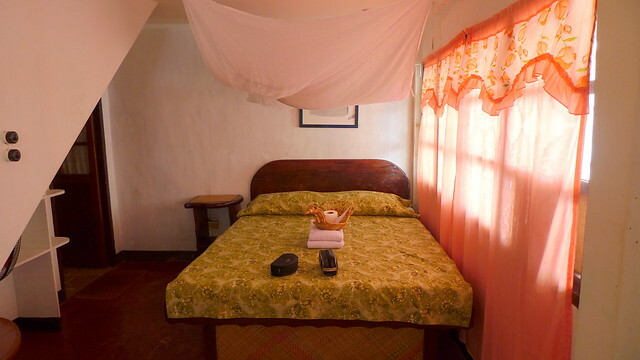 Â The Alternative is one of the most established inn, bar and restaurant within El Nido. I noticed that most of their guests are foreign couples. Who wouldn’t fall in love with the view anyway? The food in The Alternative is quite pricey, but the servings are ok. On my first night, I tried the Banana Hart meal (Php189), which is their specialty. 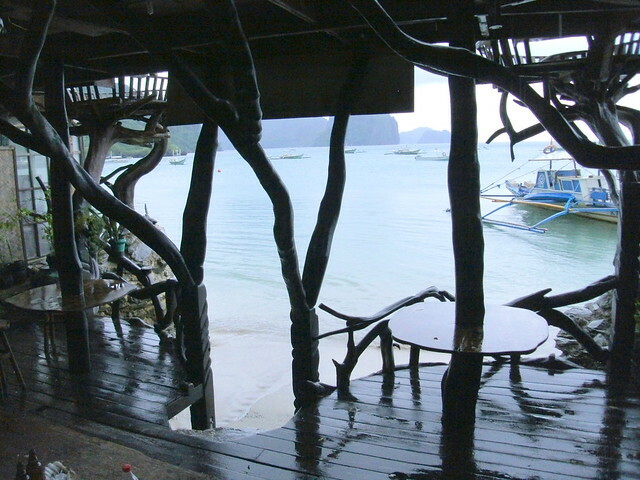 I consider The Alternative as my home in El Nido. Kuya Larry would greet me and the other guests every morning to ask if we’re ok or if we need assistance on tours and other concerns. I enjoyed my afternoon chikka with Kuya Boyet, who is a Caviteno now residing in El Nido. His stories about Palawan and its history made me love the place more. ^ I booked my room via Agoda and received instant confirmation. Yipee! UPDATE (2015): I just heard from a friend a concerned blog reader that The Alternative Inn is now CLOSED. I really feel bad because I really had a nice stay in this place. Aside from the very inspiring morning view when I eat my breakfast or if I just want to chill in the afternoon, the staff were very helpful and hospitable. I really felt welcome and its like I’m just having a vacation in a family rest house. Although the The Alternative Inn doesn’t operate anymore, I’d keep the posts I wrote about it. I have so many lovely memories and I’d rather remember it as it is. Do you have more recommendations? 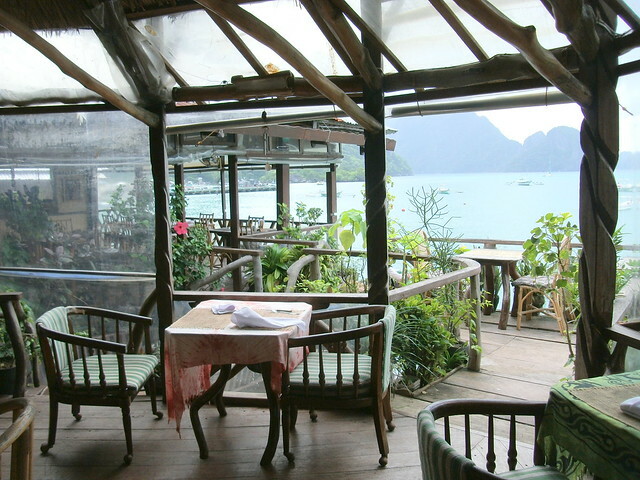 saw this inn from foreign travel blog too and will definitely check the place out when I finally travel to Palawan 🙂 ganda ng view! This is such a great alternative! Whoa, looks amazing. Now I know where I’m staying 🙂 Looks like the perfect place to really buckle down and get some good writing done. Im convinced! Im gonna stay here soon din 😀 And for me this is a grand stay! Grand ung view.spectaculaaah! Id love to spend mornings din jan sa spot na yan oh sa photo mo. ganda <3 nakaka inlove ang El nido! Hi Ma’am! Ask ko lang how much per night does your room (Healing) cost? 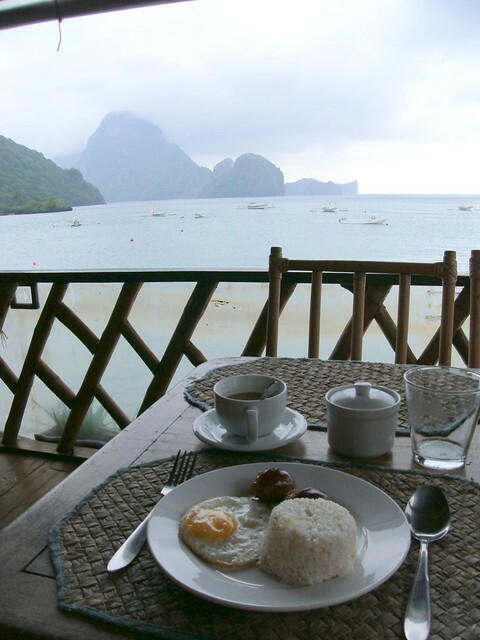 I’m looking for a place to stay in El Nido, we’ll be travelling there this November. Thanks! Looks like i found the place to stay! Hi I just want to inform you that The Alternative Inn & Restaurant is already closed and non-operational. 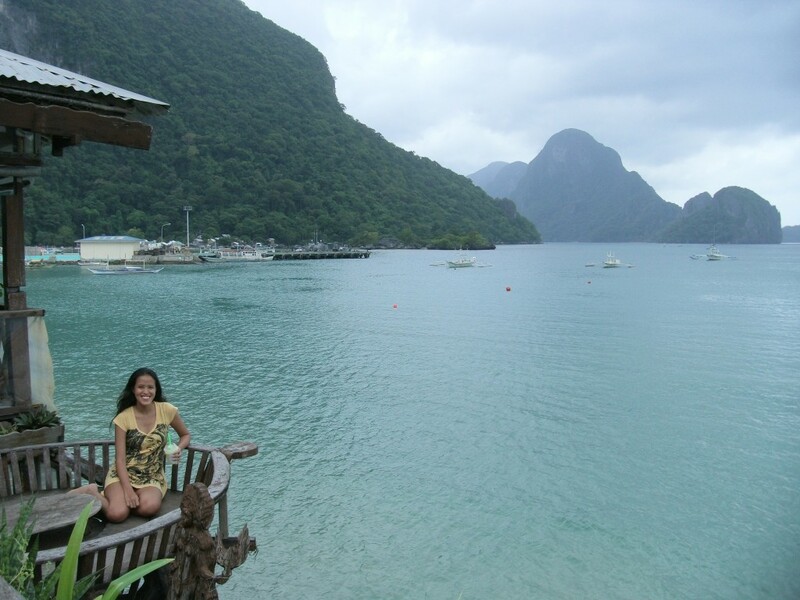 We went to El Nido last March 5, with 3 day reservation via Rebecca Casi Cea booked last December 2014, and to our surprise, the establishment is already closed. We went backdoors, and they still accommodated us. Their property was dusty, dirty and unmaintained. We arrived there at around 11pm, tired from our land trip from El Nido, wishing we could rest for the night, but we couldn’t bear staying there anymore. We went out to look for another Hotel, and upon finding one, we pulled out our stuff from The Alternative and asked for full refund. The only person manning there was the niece of Rebecca. She said we can contact her dad (Rebecca’s brother) for the refund. We got the refund the following day amounting to 1.5k instead of the 1.8k that we have already paid, which was short of 300 pesos. We accepted it cause we just want to enjoy our stay at El Nido. To our regret, we’ve found out and got excited by the photos from bloggers sharing their experiences online, especially the view from The Nest, since the internet is our only resource and basis to look for accommodations. We’re not really picky when it comes to accomodations. We’ve tried several cheap accomodations throughout our country, but sad to say that what we have seen in the photos are really far from what we have seen with our very eyes. Kindly e-mail me back so that I can send you snapshots of The CLOSED Alternative. Thank you very much! 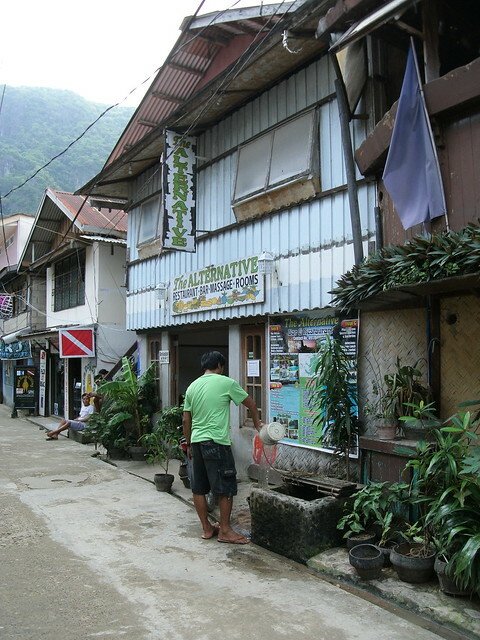 So I planned to stay at the Alternative Inn when I visit the Philippines and this is the 4th article I’ve read about it, when I found out IT WAS ALREADY CLOSED. T_T Thank you for informing us. Your picture at the nest is wonderful. Yes, keep this memory.